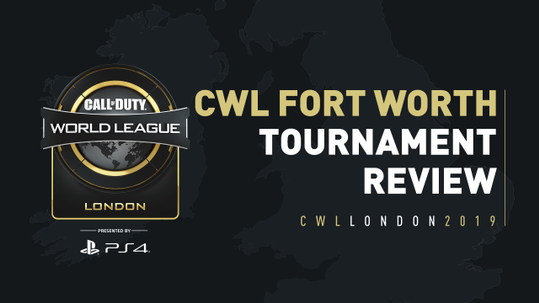 With CWL London just around the corner, we thought it would be a great idea to step down memory lane and take a look back at some of the most memorable moments that have taken place at Gfinity CoD events. Since the very first Gfinity tournament back on Black Ops 2, there have been no shortage of incredible clutch plays, sneaky ninja defuses and displays of outright dominance from some of the best players Call of Duty has ever seen. Without further ado, here are the top five moments from previous Gfinity tournaments. The 2015 Call of Duty Spring Masters I was full of memorable moments from the most talented teams from across the world. However, perhaps the most memorable moment of the entire tournament did not come from the high-octane gameplay. Former caster Oliver “ReL” Whitfield expressed his love for boyband N-Sync by showing his smooth moves to smash hit “Bye Bye Bye”. Maybe his brother and fellow caster Momo will follow in his footsteps and show his moves before the CWL London Grand Finals? After their encounter with Team Envy, aAa faced off against Europe’s best team, TCM Gaming. A comfortable win in the opening Hardpoint gave TCM the early advantage in the series but it would be the French side which opened Meltdown S&D with the early aggression. The French quickly eliminate three of the four TCM players, leaving Mark “MarkyB” Bryceland in a near impossible 1v4 clutch situation. The Scotsman quickly takes out two of the four players before planting the bomb and manages to detonate it, giving TCM the round. Amongst all the high-octane gameplay, G3 was also memorable for this. Scott “Ghandi” Lussier and Ben “Benson” Bowe were between maps when the bizarre moment occurred. Encouraged by a sold-out Copper Box Arena, Ghandi proceeded to unbutton his shirt LIVE on stream and in extremely close proximity of Benson, much to his amusement. Perhaps Benson will commemorate the moment as Call of Duty returns to the Copper Box for CWL London? Tyler “Teepee” Polchow and Patrick “Aches” Price have been on various teams together, most notably the Complexity team that dominated the latter half of the Black Ops 2 and the majority of the Ghosts season. 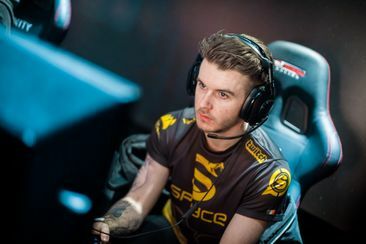 At the Gfinity 100K tournament back on Advanced Warfare, their chemistry and levels of friendship were in full force as they took part in a “Mr & Mrs” game for Gfinity. Watching this video certainly puts the dynamic duo in contention for one of the most dominating partnerships in Call of Duty history. At G2, world champion Damon “Karma” Barlow had recently moved to Team Envy after the dominant Impact team went their separate ways. With both Envy and Unite tied at 2-2, Meltdown Search & Destroy would be the deciding map in the series. The game was tied at 3-3. Anthony “Nameless” Wheeler reads an aggressive Envy rush, leaving Karma in a 1v3. Thanks to some impeccable timing, Unite plant the bomb in the generator, unaware that Karma has made it onto the bomb. As the players disperse to defend the bombsite, Karma hops onto the bomb and scores the most incredible ninja defuse in the history of Call of Duty.